While it is understandable that Viswanathan Anand and Pankaj Advani, despite reaching the very pinnacle of their respective sports, have failed to create a stir in the Indian market due to the sport they play, India’s indifferent approach to the athletes of a sport, like tennis, that is followed quite extensively in the country is baffling to say the least. As I stepped into the Karnataka State Lawn Tennis Association for my first face-to-face meeting with a Grand Slam winner, I was expecting, due to my experience with players from other sports, a star who would show a kind of swagger that the resume often demands. I could not have been more wrong. After the initial contact and the small chit that followed, he offered me lunch and after I declined, he politely asked me if I wouldn’t mind him finishing. As the waiter started bringing his food over, it struck me, he had been eating with his students and I had interrupted them. As we begin the conversation, it steers to the most obvious topic – his 2017 French Open triumph and I ended up with a lasting impression of what could easily find its place in the pages of a Bollywood script. Indian tennis was on the rise with the two stalwarts of the game, Leander Paes and Mahesh Bhupathi, still being very active and competitive on the world stage. Sania Mirza had started to take her doubles career seriously and was looking dangerous with every growing season. Since the turn of the millennium, until 2007, India had eight Grand Slams to add to the three that the country’s athletes had won in the previous one. By the end of 2007, India having a representative in the latter stages of the Grand Slams had become a common phenomenon. But, like every walk of life, there was always room for improvement, cue Rohan Bopanna. 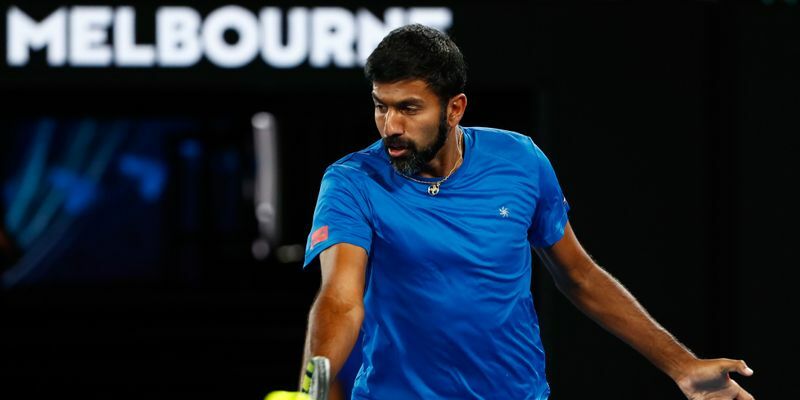 After a singles career that didn’t yield Bopanna the desired results, he decided to give doubles a try and partnered up with American Rajeev Ram in the Australian Open and managed to make it to the third round in his very first attempt. However, the partnership didn’t last too long and in the French Open, the Indo-Pak Express, Bopanna and Aisam-ul-Haq Qureshi, came into existence. After almost two years of mediocrity, that included an injury break as well, the duo finally gelled together well enough to make it to the quarters at Wimbledon. Coming into the final Slam of 2010, the duo were still unseeded and not many Indian fans, or from anywhere in the world, really gave them any real chance. The first round claimed Paes’ scalp before Bhupathi bowed out in the next and with the Indo-Pak Express facing second-seeded Nenad Zimonjic and Daniel Nestor, India’s challenge appeared to be all but over. However, after thrashing the second seeds in straight sets, coupled with a couple of more wins, the duo found themselves facing off against arguably the greatest doubles team to ever walk onto the court – The Bryan Brothers. But there wasn’t a Bollywood ending to the tournament as two heartbreaking tie-breakers later, the Indian-Pakistani pair were finally ousted. Even though it took him a good seven years to finally cross the final hurdle, fans often forget that he had reached a final of a Masters 1000 event every year, barring 2014, winning four titles. As I ask him why it took him so long to finally win a title on the biggest stage of them all, he points to how after the 2010 run, his dream of winning coalesce with the rest of the fans in the country and the spotlight started shining on him. “Everybody asks me why haven’t you reached that place. As a sportsman or anybody in life, when you reach any point in your life, the next stage is to move forward. You don’t want to move backwards. For me, I reached the final of the US Open in 2010. That was a personal goal for me but the next step was to win the tournament. So for me making it to the semi-finals at Wimbledon.... But thing is that this is everybody's goal. To me what it looked like was that I am the one who was fighting in the competition. 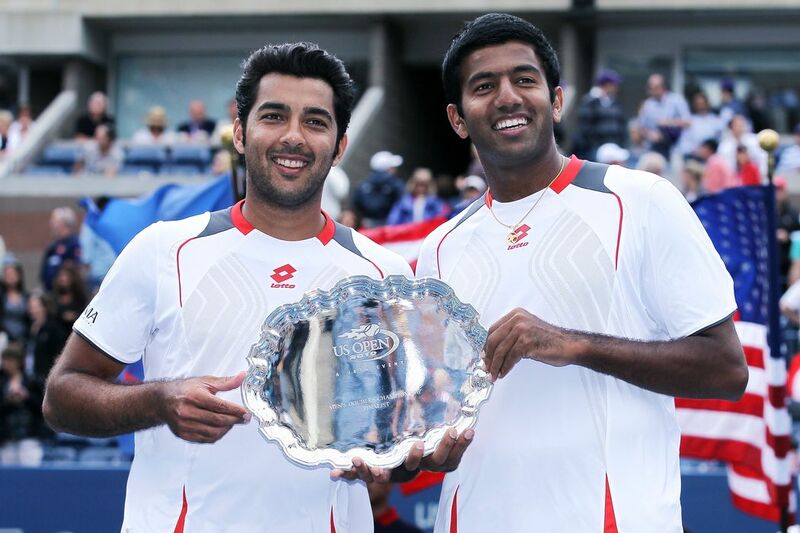 So if I win it is solely your win,” Bopanna told SportsCafe. “When we reached the final of the Grand Slam, it was the first year that I played all four Grand Slams. At the time I was still learning as a player and yes we did have that fantastic run when nobody expected us to reach the final. Following that, it took me some time to play a full calendar year, whoever I played with, to play the Masters series and the Grand Slams. It took some years for me to get completely settled in the big leagues. And eventually, in 2017 I got my first Grand Slam. But there had to be something else. 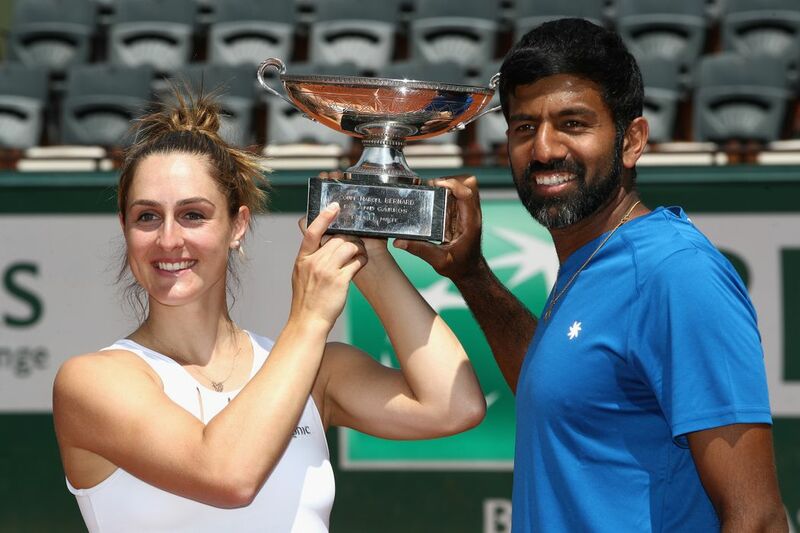 A player doesn’t go from just three semi-final appearances in the majors to two finals in four Grand Slams and that is where Bopanna pointed out the biggest problems facing sports, apart from cricket, in India. The Indian star revealed no one had ever mentioned the impact of sports science in modern day sports and he had been lucky to stumble upon an article about food intolerance which revealed that he had been intolerant to yeast. If you look at the numbers this is actually true. For all the talent Switzerland – cue Federer, Martina Hingis and Stan Wawrinka - has produced, they have won the just 11 more Grand Slams than India since 1997. The two rebuttals to the statement would be that firstly they have won more singles titles and the ever so popular the “Population argument”. While fans have to realize that two of the aforementioned trio are once in a generation player, the population negation is purely wrong because China, with all their population and obsession with sport, have only ever won nine majors in their history. Coming to the topic of youngsters, it was difficult not to ask him about Somdev Devvarman’s rant against the AITA after India’s most successful singles player in recent times decided to call it a day at the age of 31 in January last year. While Bopanna could have easily side-stepped the minefield in front of him, in what I could only assume was his nature, decided to be blunt with his analysis. However, he was not just content in joining the current trend of bashing but he quickly came up with a plan – something I believe he has been thinking about as well - on how the federation could help the sport grow in the country. If anyone has been following Indian sports closely over the past decade, the rise of badminton in the country is something that would not really surprise them. While no one can deny the impact that Saina Nehwal had on the sport, the Gopichand Acadamy has been the real champion behind the scene. PV Sindhu, Parupalli Kashyap, Srikanth Kidambi, H.S. Prannoy, Sameer Verma and many others have all been given a chance to make it big on the world stage due to the same and how they have taken their chance. As far as tennis is concerned, the sheer nonchalance of the AITA is quite obvious as such players have taken it on themselves to give the sport, that has given them everything, something back. Once I retire, I don’t have the same level of access again and I won't be able to see all these people regularly then. “One of the main things is that infrastructure and grassroots system is missing in India at the moment. Even the academy that I am running here in Bangalore, I have hired the coaches myself from Serbia and the UK to help these guys. I am paying for their travel, stay so that the kids can benefit from them. Having said that it is coming from a personal passion for the sport. It is not coming from whether government or the private sector is helping. Everybody coming together is going to make a difference. Tomorrow, for me, to constantly have all these guys here it becomes expensive at the end of the day. Also, it's not just the kids who will learn. The Indian coaches can learn a lot from these guys. That is actually one of the reasons for bringing in foreign coaches so that our coaches can also improve and be better. 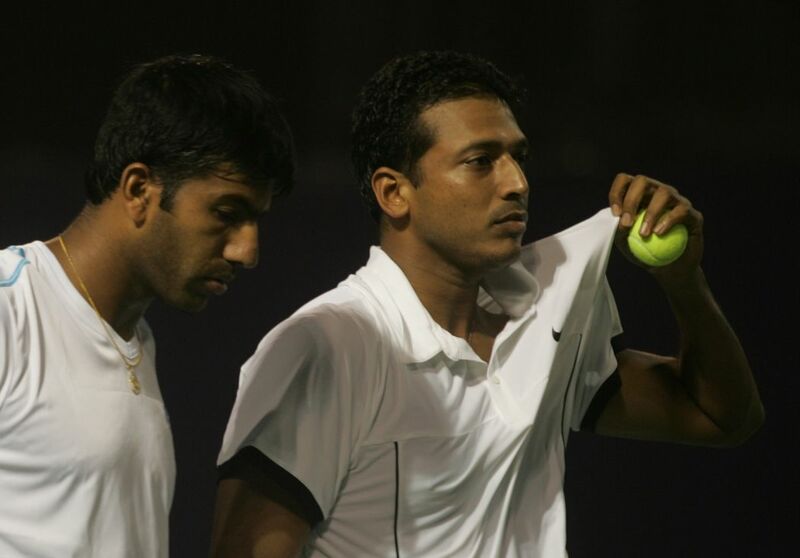 Till that system actually picks up, it is very difficult for players to come out from it,” Bopanna remarked. The passion with which he speaks is quite clear as I have to remind him that his lunch, which he has hardly touched since we started talking about the sport he loves, is getting cold. After a small chuckle, and a spoon full of his lunch, he responds to my follow up about why he had started the academy while still playing himself by saying, “The main reason for me to start academies is to give something back to the kids and the sport. One of the reasons that I started it during my playing days is so that I can give the kids first-hand details of what is actually happening on the circuit. There are so many different systems out there now. I can talk to the best coaches in the world and use that in India. But this isn’t really the first academy that the Indian ace has started. 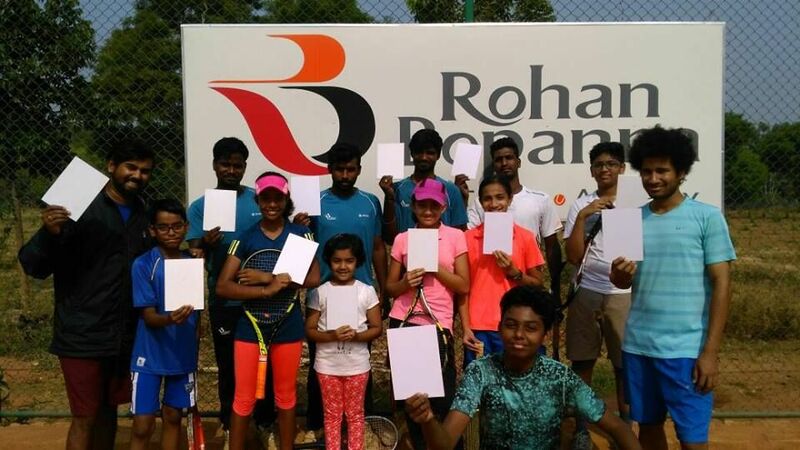 That actually happened three exactly two years ago when he inaugurated the Rohan Bopanna academy in Yelahanka - on the outskirts of Bangalore. The main purpose of the academy, from what I could gather, was not to produce world-class talents but to get young kids, from the ages of 5-8, interested in the sport. And as far as the results are concerned, he should feel no hesitation in calling it a success. In just two years he has managed to get almost 70 kids playing tennis regularly. Based on the results and the interest in Yelahanka, he has now, on December 1, started an advanced academy at the KSLTA where he has, in three short months, already managed to attract almost twenty pupils. “At the Yelahanka centre, I have hired a few coaches just for the junior development programme where kids start from the age of 5,6,7 and upwards – be it the orange ball, red ball. We also have mini tennis and programmes to develop fitness. I have got two separate programmes running and these centres are grooming these kids to take the next step, which is an advanced programme. So I am trying to have a kind of system where we have a sort of grassroots development that leads to making it to the next level where they can continue playing tennis and become better athletes. At the academies, it's not just tennis but fitness, nutrition, psychology, yoga everything,” he reveals. “Even for me, I have started the advanced program academy on December 1 and we have picked up 15-20 kids who are practising and making use of these coaches. These guys have been here since July. It’s up to the kids to come here and utilize the coaches because it is very expensive to travel outside. That is something that I am trying to change – get everybody to practice together. So even when they go to tournaments, they go as a team with a coach accompanying them. Being a professional who is playing at the highest possible level, he can understand the mindset of young players better than any person sitting in an air-conditioned room in the AITA headquarters in Delhi. He understands the needs of the current game and asserts that it is not just exposure to the fundamentals of tennis that are required for a modern-day athlete. That is precisely the reason he felt the need to start the advanced programme which would easily help players transition from Yelahanka to Cubbon Park. “In March it is going to be two years since I started the academy, but I still feel there are a lot of kids who need guidance on how to structure the programme. That is what we are doing here. Apart from just teaching tennis, it's more about guidance on which tournaments to play, how many weeks to play, to come back to play, to make use of the fitness and recovery rooms. At the end of the day, it is not just about playing tournaments and playing five hours a day, it is the overall package,” he adds. “Look, I have done it for so long and I don’t believe that you need to play five hours of quantity tennis, instead they can just play an hour of quality tennis. Sometimes you just need to take a two-day break to get into the right mindset and stay fresh. You just have to tell these kids about it, talk to them about it and make sure that they are writing about it – what they have learned and what they want to learn. Then it is also for the coaches to understand the players’ perspective on what level their game is at. I feel that there are very few coaches who are doing this and even they are not doing it in a structured way. “One of the main reasons that we have kept the advanced guys here at Cubbon Park at KSLTA is that they have a gym where they can eat here. They have a pool for recovery sessions apart from just playing tennis. So they come here in the morning and leave in the evening because the travel time, especially in Bangalore, can be a problem,” being a Bangalorean, he adds with a wry smile on his face. But it is not all fun and games. When it comes to work he is has a single-minded approach to how things are supposed to be run and he takes no prisoners. While a queen on a chess board, it is only going to become the most important piece if the knights, bishops, and rooks provide it with the support that is needed to thrive. In this case, the minor pieces on a chess board are the support staff - the coaches and more importantly the parents. It's not just the players who have been given a schedule to follow but the coaches and parents have been given detailed roles as well. “The coaches also have to write down the results for the programme every week. They have to document what their kid has done over the week, so it’s not just the kids who have to work but also the coaching staff. So it's not just the kids, its the coaches also who are involved as well which I feel is important because it's not just about coming in and coaching. If a kid has done well one week or not done that well all of that needs to be documented,” he explains. Coming back to the players, I enquire about whether they are taught both variants of the game as the skillset required for both are very different. “We encourage them to play both. Every tournament they play and even in practice we tell them to play doubles as well. As a tennis player, your main priority is singles but the main problem is the lack of tournaments in India. It constantly helps players grow. If you can have one challenger or one future in each state every month, it helps the players’ development. We have just three challengers and one ATP event in India which is not enough helping the players refine their game. In Europe, they have 30 weeks of tournaments every year so the kids don’t have to travel in their country. That's why they are producing so many players. If we can have the same number of tournaments in our country, we can produce the same number of players in our country,” he reveals. India has seen a huge influx of money and interest in sports apart from cricket over the last few years. Be it football with the ISL or badminton with the PBL or the biggest of them all the Pro Kabaddi League which is arguably the most popular non-cricket league in the country after football. With tennis though, the change hasn’t happened. This could be attributed to a whole lot of reasons. Firstly, it is an outdoor sport that requires quite a bit of infrastructure which, unfortunately, is not readily available in the country. Secondly, there are no real programmes for the youngsters where they can be given a path to follow if they want to pursue a career in the sport. While the ever-optimistic Bopanna highlighted the same, he said that the main reason for the slow progress in the sport had to be attributed to the media. I am always in touch with these kids and now they talk to me after the matches. “For tennis, I think that someone from your country constantly playing at the highest level makes a huge difference at the end of the day. So, I would say that tennis’ reach has improved and it is improving in a big way. We are now getting some infrastructure, the right coaching and getting everyone together is helping in getting a few more players. Having Sania there playing at the highest level for such a long time, me being there, we meet a lot of Indian fans all across the globe,” he explained. Realizing that I had exceeded my allotted time by more than a justifiable amount, I bid him adieu as he returns to his court. As I begin to leave, the thought of actually seeing the practice sessions crosses my mind and I turn back and head for the courts. After taking a seat in the stands of the KSLTA, and seeing the 37-year-old actually playing tennis with kids, the following statement not only makes sense but showcases his commitment to the cause he has so graciously taken up. “I am always in touch with these kids and now they talk to me after the matches. I think that they feel that they know me well now to talk about everything. So they connect better with me and that is something I love the most about coaching.